It’s been fifteen successful years since Toby Frank, Judy Frank and Patty Topel acquired the Kachina House in Sedona. Today they are Arizona’s largest distributor of Native American art and they’ve stocked the shelves this month to offer you the best selection ever! Toby Frank thought about people and cultures in faraway places from an early age. Those she thought most about lived on the opposite side of the country, in a place very different from her Pennsylvania home. As an adult, she traveled when possible and visited places such as New Mexico and Arizona where these indigenous populations lived. She studied their home sites and became fascinated by their art, particularly their carved Katsinam and fetishes. 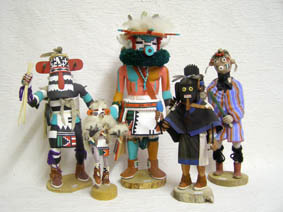 For the special 15th Anniversary Celebration at Kachina House, Toby made certain we showcase the exceptional variety of Hopi Katsina dolls and Zuni Fetishes available in the shop. 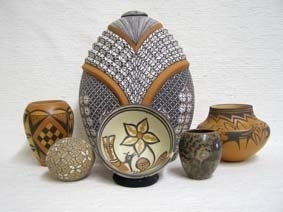 Like her sister, Judy Frank wondered about these indigenous people and their cultures; particularly the beautiful pottery and weavings they create. She spent time in the southwest and visited Santa Fe’s historical sites and shops to learn everything she could about this original artwork. Judy loves to point out the many one-of-a-kind items Kachina House offers. The 15 percent discount does not pertain to our current sale items inventory. 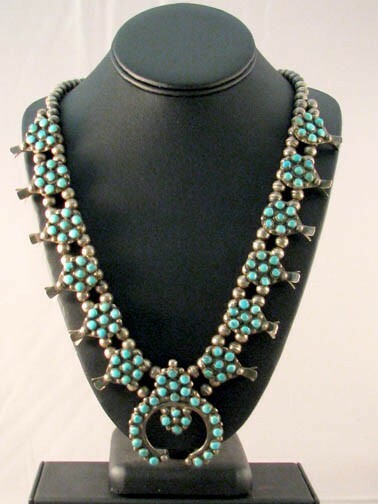 Please feel free to browse our vast collections of Native American jewelry, pottery, Kachina dolls, and more! Kachina House is located at 2920 Hopi Drive in Sedona, Arizona. 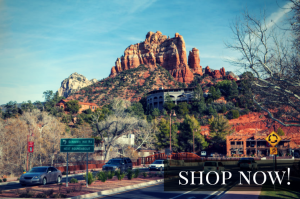 2 Responses to Kachina House is Celebrating their 15th Anniversary with 15% Off Every Item in the Store! Many happy wishes for continued success and sharing Southwest culture. Will be celebrating our 50th in Sedona in June with entire family. Looking forward to seeing you again and the opportunity for our grandchildren to see the many woeks of art that you offer.